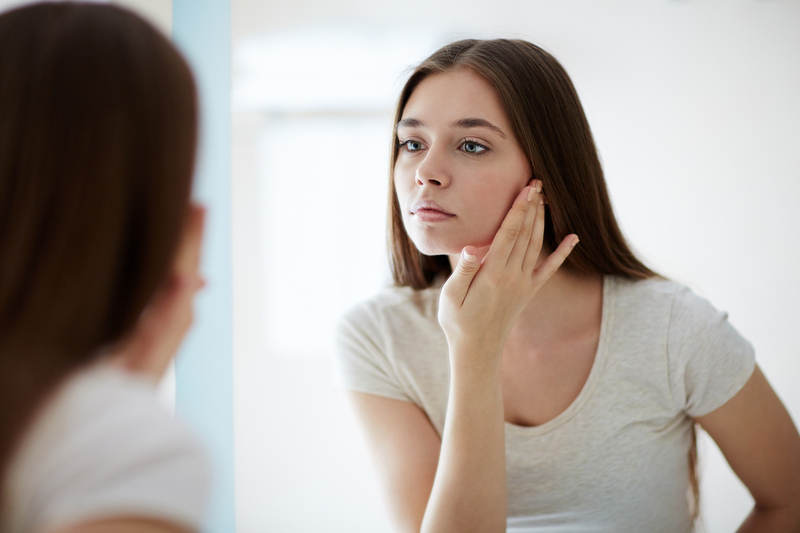 Acne can be a distressing skin condition, that occurs when dead skin cells and oil clog the skin’s pores, causing the growth of bacteria. Symptoms include the formation of pustules, pimples, as well as blackheads and whiteheads. These can cause significant discomfort, redness, and inflammation on the skin’s surface. Fortunately, there is a range of simple treatments that may prove effective for acne treatment and symptom relief. Oxytetracycline is one of the most popular treatments for acne, belonging to a class of antibiotics known as the tetracyclines. It works by targeting and killing the bacteria that infect the skin, as well as reducing the area infected. Unrelated to penicillin, it is prescribed by doctors and may take up to 6 weeks for oxytetracycline to be effective. Benzoyl peroxide is the active agent in gels, lotions, and creams that are applied to the skin. It works by reducing bacteria on the infected skin surface and also can relieve inflammation. For acne treatment, it is applied once or twice a day, ideally 20 minutes after washing affected areas, and is often recommended in combination with oral antibiotics such as oxytetracycline. Derived from vitamin A, retinoids work by gently exfoliating dead skin cells from the skin’s surface and unplugging blocked hair follicles. A 6-week course is usually recommended for effective results, especially when combined with topical antibiotics. This can be used as an alternative to retinoids or benzoyl peroxide if they cause skin irritation, and it is available in gels and creams. It works by killing bacteria and reducing the dead skin cells that cause blockage of the pores. Nutrition may have an important role in acne treatment, particularly by avoiding foods that cause spikes in insulin production. Excess insulin in the blood can trigger overproduction of oil by the oil glands, causing blockages in the skin’s pores. Avoiding foods such as white bread and white rice, and eating foods rich in zinc, antioxidants, and vitamins A and E, can promote healthier skin. The types of foods recommended include complex carbohydrates such as whole grains, legumes, and fresh fruit. Unprocessed vegetables like sweet potatoes, spinach and carrots are rich in zinc, while blueberries, turkey, and whole wheat bread contain skin-friendly vitamins A and E with antioxidant properties. A range of essential oils has antibacterial and disinfectant properties, the most popular of which include Tea Tree, Lavender, and Basil. Both Tea Tree and Lavender can be applied directly to the affected areas by dabbing the skin using cotton pads. Lavender also has analgesic properties and may be helpful for relieving soreness and inflammation. Although Basil should not be applied directly to the skin, facial steaming may be a soothing treatment. Simply add 2-3 drops of Basil essential oil to a bowl or pot of boiled water, putting the face to the rising steam at an appropriate distance. The steaming process fights the bacteria by opening the pores so the skin can absorb the essential oil’s antibacterial properties. Fantastic tips! Thanks for sharing! Thank you for these awesome and helpful tips!